Product Description: TWDB duct joint sealing tape (band). resistant pressure sensitive, non-drip adhesive and a closure patch. strong, pressure tight seals are provided. Note: TWDB is not intended to be used in industrial environments where organic solvents, oil or chemicals are present. No primer required allowing for no drying time and easy application. Low preheat sensitivity & proven functionality allows easy application combined with high functional performance. Minimal inventory cost. 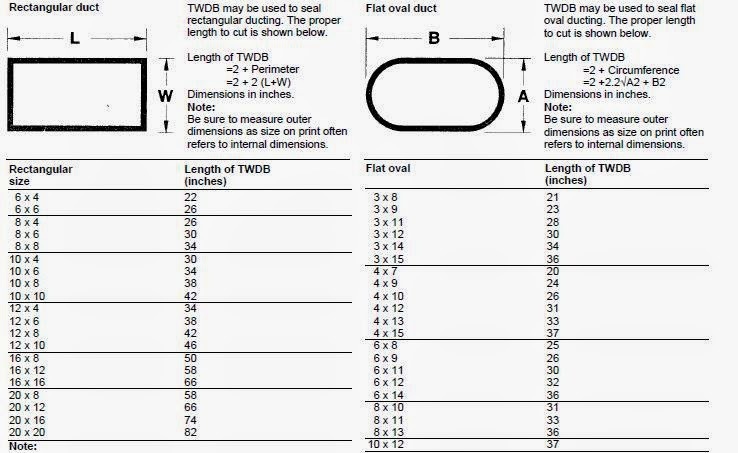 TWDB’s cut-to-length system eliminates the need for multiple sizes. Specially formulated sealant ensures a reliable protection. Provides high peel and shear values after installation. No special equipment or skills required which makes installation fast and easy while keeping installation cost low. hot TWDB with roller or gloved hand on flat sections. *See install guide for prior steps.